The right tooling depends on the material of your finished product. Prototype tooling may be made from wood, fiberglass or composites, which is easy and less costly to modify. Production tooling is typically crafted from aluminum, which ensures better consistency during long production runs. Compared to tooling for injection molded parts, tools for thermoformed parts are simpler to update or redesign. Replaceable inserts in the mold offer flexibility so you can vary styling features or produce different models in a product line. Vacuum forming. For the greatest flexibility in design and production of custom molded plastics, choose vacuum forming. 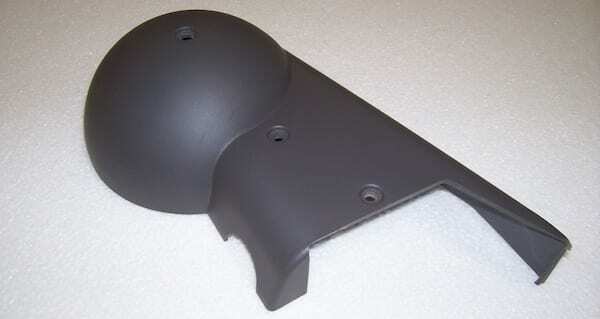 During the vacuum forming process, a vacuum pulls thermoplastic material against a mold to create a contoured surface. Pressure forming. When aesthetics and cosmetic appearance are critical, pressure forming is ideal. It’s a cost-efficient alternative to injection molding and produces plastic parts with crisper details and sharper features than vacuum forming. Pressure forming uses both a vacuum to pull thermoplastic material into the cavity of a mold and positive air pressure to push it tightly against the surface. That extra pressure allows the plastic to pick up precise detailing. Custom thermoforming requires a deep understanding of these and other plastic forming technologies. Joslyn offers that expertise along with decades of industry insights and a commitment to creating the quality product you envision. Contact us today.